My Little Bug Aaliyah was a fairly small baby and she didn't grow as quickly as her chubby wubby younger sister and brother did... so she was 6 months old before she started wearing size 3-6 months. 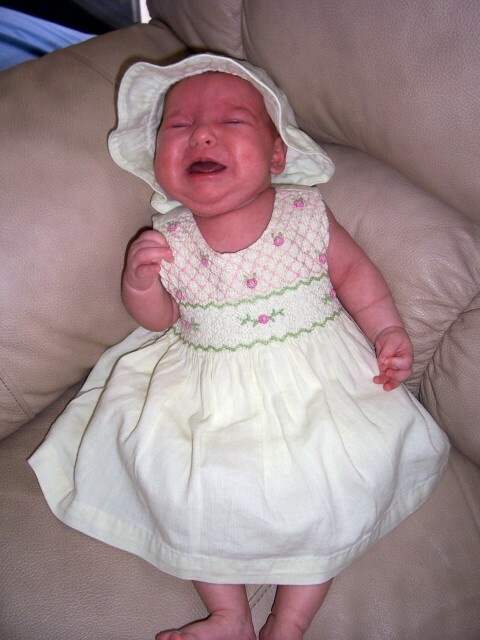 I was very excited to finally be able to put this dress on my Little Bug - and unfortunately my hopes for a happy picture were shot. She screamed and screamed (as she did almost every day, all day for MONTHS) - so I had to settle for the grumpy picture. I distinctly remember my hubster telling me that day, "You don't have a daughter. You have a doll." 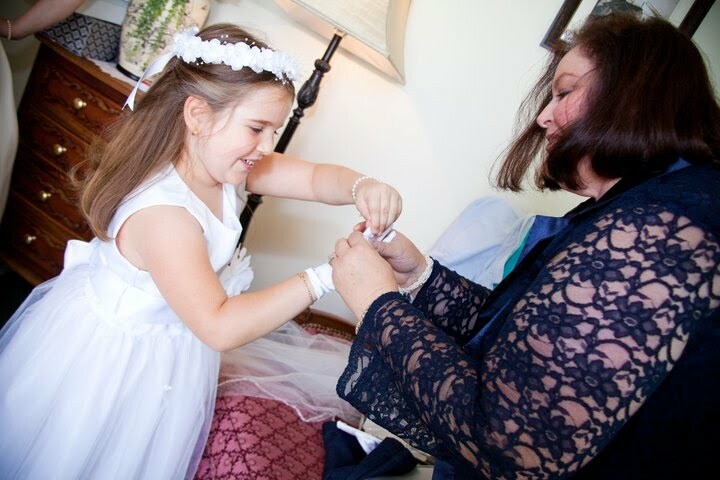 The last time she wore a pretty dress was at my sister's wedding back in 2010 - here she is with my mom (I LOVE this picture)... Don't let the picture fool you - she still screams and cries - mainly because she doesn't want to clean up when I tell her to. What Flashback would you like to share? Head over here to link up your post! What special memories! A crying baby is not uncommon and it brings you to reality of the emotions and stress a mother is put under during this time. She is now a beautiful little girl, I too love the bottom picture, thats super special! Thanks for following and participating this week, I am now following you in return and hope to see more from you in future! Happy Friday!! I really look forward to these Flashback Friday moments! I might bend the rules a little from time to time (like I did by posting two pictures - but sometimes the post really sort of calls for it). :D Yes, a crying/screaming baby is not uncommon - but certainly a rude awakening to the reality that some babies are just very needy and it was a very rough year (who am I kidding - it's still rough 7+ years later). So sweet. I have a rather more 'teenage' memory this week!